As recently noted in The New York Times, “For museums and other institutions confronted with the sometimes onerous restrictions that donors place on major gifts, forever can be a very long time.”1 This series will consider how and when the restrictions imposed by a donor on a gift, large or small, may be changed. New York has long permitted organizations to seek judicial release or modification of donor-imposed restrictions if certain common law and/or statutory standards are met. Moreover, a donor’s restriction on the assets of a wholly charitable trust or not-for-profit corporation may, under certain circumstances, be modified with the consent of the donor and without a judicial proceeding. In fact, the donor often initiates such modifications. Different provisions govern these modifications, depending mainly on the form of the organization and state law and, of course, the terms of the gift itself. The non-judicial modification of restricted gifts to charity is the subject of this issue of Professional Notes. Generally speaking, a wholly charitable trust is by its terms irrevocable, and its terms may not be modified unilaterally by the grantor unless he expressly reserves a right of modification. As a result, practitioners often advise their clients to include in the trust instrument an express reservation of the right to modify certain trust provisions—typically, the trust’s charitable purposes, its governance structure, and perhaps the administrative provisions. This reservation of rights is designed to avoid the need to obtain third-party consents when modifications are made. However, to protect the tax-exempt status of the charitable trust and the deductibility of contributions, wholly charitable trust instruments reserving the grantor’s power of amendment usually go on to provide that, in all events, the purposes may not be modified in a way that would make the trust non-charitable and that the grantor’s commitment of assets to charity is irrevocable. In other words, EPTL Section 7-1.9(a) establishes an implied power of the grantor of a New York trust to amend or revoke a trust instrument with the consent of all who hold a beneficial interest in the trust. For example, if a charitable trust is for the benefit of one or more named charities (e.g., if the trust is a supporting organization), the consent of the named charities is required in order for its governing instrument to be amended or revoked. In addition, the consent of the Attorney General likely is required as well, particularly if the trust is for charitable purposes generally, a class of unspecified charities, or if there is a contingent interest held by unspecified charities. Care should be taken, of course, that an amendment or revocation will not alter the exclusively charitable nature of the trust or result in assets of the trust or other impermissible benefits flowing to the grantor or other private interests. 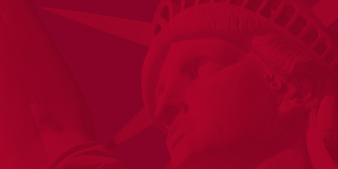 Until the enactment of the New York Prudent Management of Institutional Funds Act (NYPMIFA) on September 17, 2010, an organization’s governing board could release, in whole or in part, a restriction on the use or investment of a fund without going to court if the donor consented to the release. The consent was required to be in writing and notarized. Consent of the Attorney General was not required. If the donor would not consent to the release of a restriction, or if the donor wanted to substitute different restrictions in lieu of a release in whole or in part, it was necessary to commence a cy pres proceeding under EPTL Section 8-1.1. A proceeding for the release of a donor restriction under New York Not-for-Profit Corporation Law (NPCL) Section 522(b), was possible only if the donor was dead or otherwise unavailable. NPCL Section 555, enacted as part of NYPMIFA, replaces NPCL Section 522. Section 555(a) allows the release or modification, in whole or in part, of a restriction contained in a gift instrument, with the consent of the donor. The statute requires that the consent be “in a record” but does not require it be notarized. By permitting a modification of a restriction, NYPMIFA (like the Uniform Prudent Management of Funds Act, or UPMIFA, on which it is based) permits the substitution of a new or different restriction. If donor consent cannot be obtained, court action is ordinarily required in order to release or modify a donor-imposed restriction on the assets of a not-for-profit corporation. Unlike the rule under prior law, the release or modification of a restriction under NYPMIFA may be sought and obtained pursuant to NPCL Section 555(b) or 555(c), even if the donor is available and unwilling to grant his consent voluntarily. The donor, however, is entitled to notice and an opportunity to be heard. Judicial proceedings under NYPMIFA for the release or modification of restrictions on charitable gifts—commonly classified as equitable deviation and cy pres proceedings—will be discussed in the June 2013 issue of Professional Notes. NYPMIFA also introduces a new concept into New York law, found in NPCL Section 555(d), which permits an organization to release or modify a donor-imposed restriction on a fund without court approval, upon 90 days notice to the Attorney General, provided the fund’s value is less than $100,000 and more than 20 years have elapsed since its establishment. For this provision to apply, the contemplated use of the fund’s assets must be consistent with the charitable purposes expressed in the gift instrument. This provision permits an organization to spend down an endowment fund if it is sufficiently small and sufficiently old and if maintaining the fund as endowment is impracticable. Commentary by the drafters of UPMIFA, the uniform law, indicates that this special provision for “small, old funds” was intended to avoid the expense of a judicial cy pres or equitable deviation proceeding for a modestly sized fund. Under the uniform act, the suggested value was set at $25,000 or less, but it was noted that the amount should reflect the cost of a judicial proceeding in an adopting state. The commentary to UPMIFA also notes that this provision is meant to function in a manner similar to the judicial cy pres standard, meaning that it could not be used to change the purpose of the fund entirely but rather to change the purpose to another that reasonably approximates the donor’s original intent. NYPMIFA requires notice to the donor, if available, before proceeding to seek to change a “small, old fund.” Although consent of the donor is not required, it seems unlikely a charity would proceed to seek a change if the donor objects. Of course, if the donor is available and does not object to the change, it is hard to imagine why an institution wouldn’t instead proceed under NPCL 555(a) to modify the restrictions with donor consent, which does not require Attorney General approval. As a result, the provision for “small, old funds” appears to be most useful if the donor is deceased or cannot be located. If a donor is available and consents, New York charities in corporate form have a relatively easy way to change donor-imposed restrictions on the management, investment, or purpose of a fund. For charitable trusts, the process is simplest if the grantor reserved a limited power of amendment. However, even if he did not, a consent process may be available, albeit one that ordinarily requires consent of the Attorney General and specified charitable beneficiaries. © The New York Community Trust 2013.